My film explores the scale of space and the infinite size of the universe. 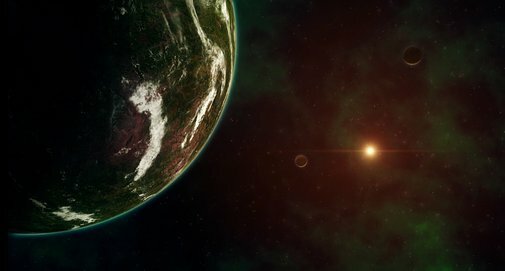 I wanted to show the vistas of our solar system and then create imagined ones. These virtual environments start as infinite blank black ‘space’. I built my animation from researched images of the Earth’s surface and star-fields from NASA and the International Space Station. Initially I worked with Photoshop, blending images and simulating textures. I later sought to animate three-dimensional models of planets and asteroids. Many of my techniques were learnt through online tutorials as I aimed for increasingly sophisticated visuals.